Nag Pancham is the worship of Snake, or Nagas, in Shravan month in Gujarat. Nag Pancham 2019 date in Gujarat is August 20. It is observed during the fifth day of the Krishna Paksha (waning phase) of moon in Sawan month. 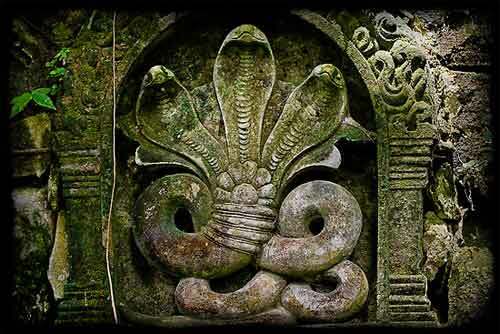 Special Naga pujas are held on the day in temples and sacred places associated with serpents. Nag Panchami in most regions is observed on the fifth day of Shukla Paksha (waxing phase) in Shravan month. In Gujarat, it is 15 days later. Special pujas are offered to Naga devatas like Ananta and Nagaraja. The Nag Pancham ritual in Gujarat commences in the morning. A picture of a snake (nagas) is drawn on an earthen pot and prayers are offered and pujas are performed. After rituals, Nag Pancham Vrat Katha (story) is listened to by people. Food prepared from millet which is cooked on the previous day is consumed on Nag Pancham day.